A huge number of employees spend most of their time at the workplace and the office space planning future demands are more efficient and functional atmosphere where every employee are encouraged to perform more. From the workspace provided to them to the type of machineries and office furniture they need, every single detail should adopt to the growing demands of a millennial workplace. A remarkable result can be achieved when the office space is designed with maximum comforts and friendly environment. Not only will innovative office space planning gain positive impact to clients but a big factor in encouraging the workforce towards optimal productivity. The workforce of today and eventually in the years to come will opt for a more advanced set of machineries and furniture that demands the type of work they are handling. A more advanced connectivity will allow every employee for easy accessibility to communication. And take note, connectivity matters a lot in bridging every employee as well as clients. Easy access to internet connection and telephone lines are a must to every worker. Technology should be incorporated into connectivity to assure a much efficiency. The same through on the case of office furniture. The workplace should adapt to the ever changing workplace atmosphere giving employees utmost comforts and conveniences while at work. Sitting on a conference room for considerable number of hours may not sound efficient for office setting of the future. Sometimes staying on a conference room for longer period will make them sleepy or bored. Employees should be provided with nooks or small coffee rooms where they could sit down or meet for 20 minutes where exchange of ideas and discussions will occur. This will enhance their potential to get engaged and involved in worthwhile discussion. Within these rooms that they are given opportunities to have a little privacy where they can solve problems, analyze things and eventually create dynamic work plans. There are people who need a little space where they can concentrate while having private conversations or skype calls. Basically, noise is extremely a huge distraction. In an open office layout, it is important that there should an area, specifically smaller rooms where one can take time to focus on private conversations. This type of office culture should be practiced in the future setting where the boss will not be so strict about the presence of every employee on their desk. Distractions like noise cannot be controlled but if employees can move their chair to a designated room where they can feel a sense of privacy, productivity can be motivated. Conference rooms are usually built with closed walls causing people to fall asleep or feel bored. The way conference rooms are built for future office layout should have a little innovation, Instead, glass walls can be built between common areas where people at the conference room can be refrained from falling to sleep with the busy activity they see outside. Sitting for a long period of time can harm employees’ health as proven by studies. Companies should look forward to the long term service of their employees with great emphasis on their health. Among a healthier alternative is providing the workforce with adjustable desks where they can be more alert all throughout the day. This type of desk can be adjusted where employees are able to sit or stand as desired. Likewise, adjustable conference tables are also ideal during meetings where participants can be more engaged. Standing can motivate everyone in the conference to get involved than sitting meetings. One of the most trending office setting in the future includes a more relaxing atmosphere where the nature’s view is emphasized. Nature has the ability to sooth the senses resulting to a less stressed and healthy working environment. The layout of the future offices which incorporates nature will be seen in large window glasses. This setting will provide natural light to pass through as well a fresher and more verdant view of the scenery outside. 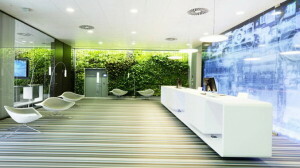 The calming ambiance of nature improves mood which motivates people towards productivity. Most organizations require team work whereby needing a more open and interactive room. An open and wider work space is seen to be more engaging in the future. This will attract spontaneous collaboration and interaction between groups and employees. A smooth flow of information and the transmitting of policies and protocols are enhanced. 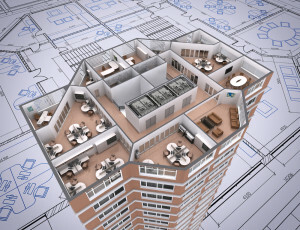 A wider area in an open layout will not only map creativity but can accommodate future growth. Allow the layout to have an open office space but provide rooms for a little privacy. 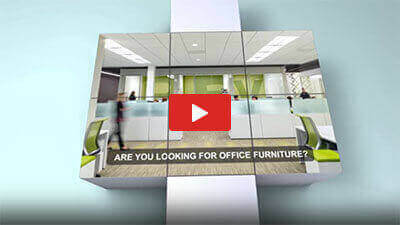 There are many ways on how to make the office space planning more engaging for every employee. The layout and design of the workplace should be given more emphasis by employers to accommodate a more productive and worthwhile atmosphere for their employees. Not only this will improve the ambiance but a huge factor in developing integration, collaboration and eventually productivity. Nothing can be more motivating than having a workplace where the need for growth and development of every employee is guaranteed. Building team work, solving problems and creating new ideas are only some of the best results that can be gained from having a nicely and engaging workplace. As employees are the biggest contributors for the company’s growth, it must be ensured that their needs are given utmost attention. To see your company heading ahead of the curve, tap your resources and make the welfare of your workforce the top priority.